Both sexes either fully winged or with wings shorter than thorax width. Body brown, fore tibiae, tarsi and antennal segment III paler; fore wings brown. 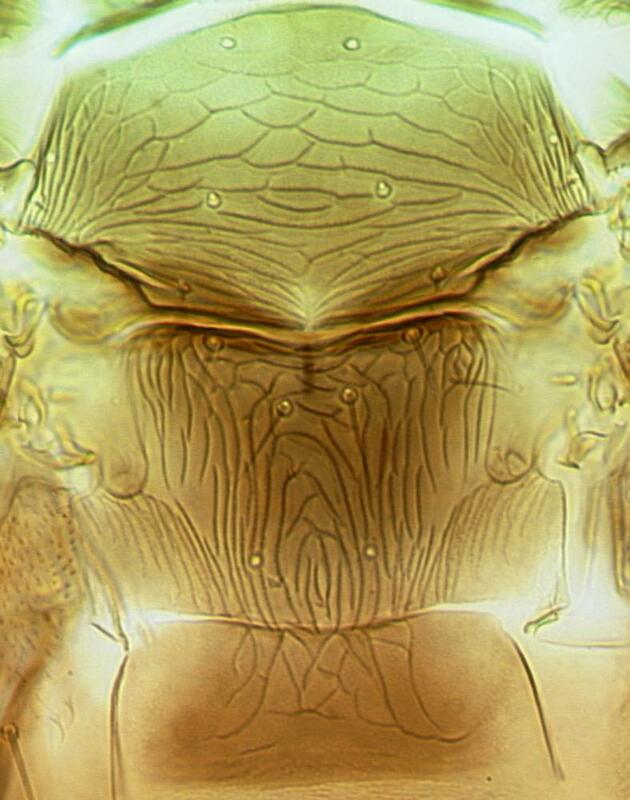 Head small, wider than long, only 2 pairs of ocellar setae present, pair III small and anterolateral to ocellar triangle. Antennae 7-segmented; segments III–IV with small forked sensorium. Pronotum wider at posterior than anterior margin; 2 pairs of short posteroangular setae, 5 pairs of posteromarginal setae. Metanotal sculpture linear but forming lens-like shape posteriorly, campaniform sensilla present; median setae arise behind anterior margin. Fore wing first vein with 3 setae on distal half, second vein with about 3 setae. Abdominal tergites with craspedum of triangular lobes on posterior margins, discal area without sculpture on posterior half; tergites V–VIII with paired ctenidia, on VIII posteromesad to spiracle; tergite VIII posteromarginal comb with slender microtrichia arising from broad bases. 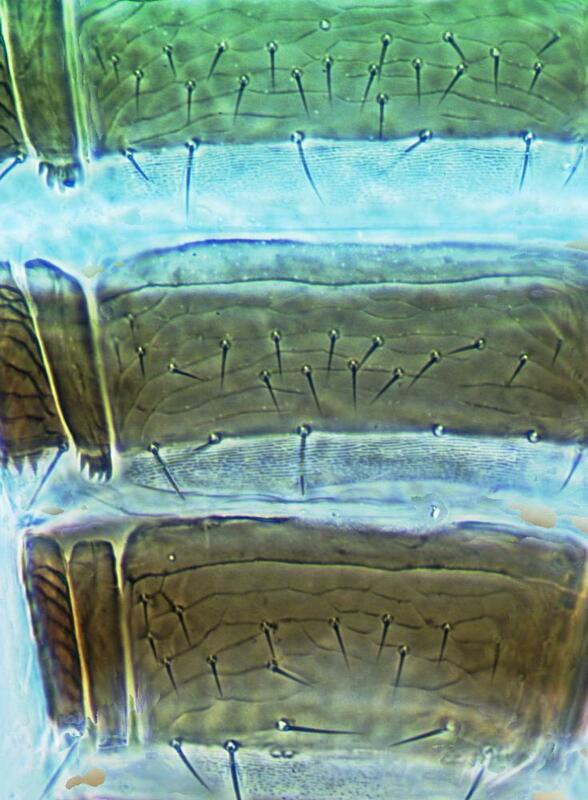 Sternites with double row of discal setae, without craspeda. 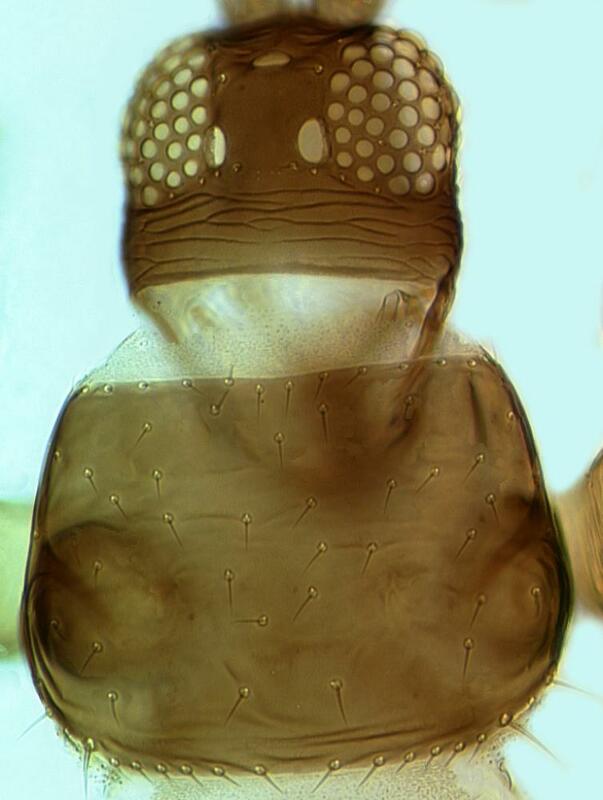 Male smaller and paler than female; tergite VIII posterior margin with craspedum of triangular lobes similar to preceding segments; sternites with craspeda of triangular lobes, III–VII with small circular pore plate. 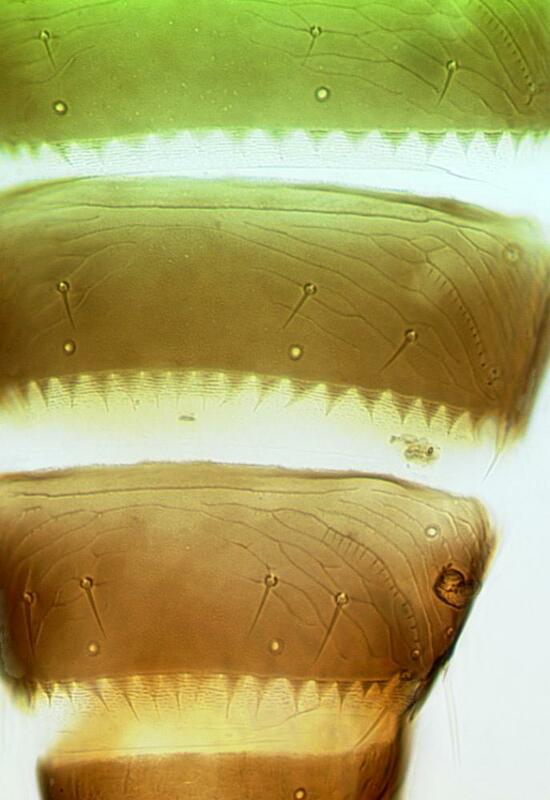 The sensoria on antennal segments III–IV are usually forked, although one half of these forks is sometimes difficult to observe. However, individuals have been studied from various localities in which the sensorium on one or both segments is simple not forked, or more rarely with just the apex developed into a short fork. Variants of this sort have been described from China as separate species, but these are listed here as synonyms. Only one species is known in the genus Microcephalothrips. 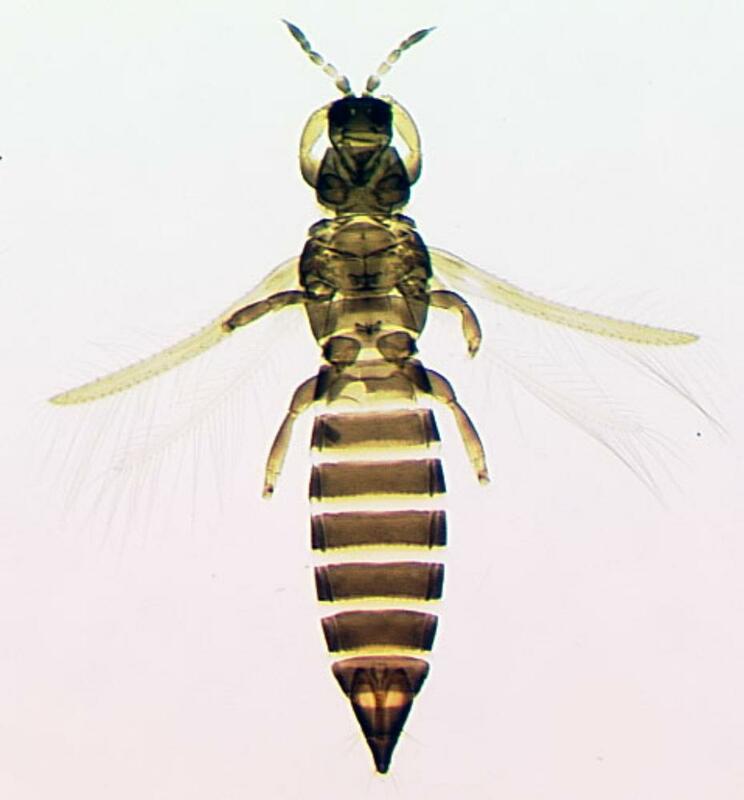 It is closely related to the genus Thrips, but has a distinctive craspedum on the posterior margin of the abdominal tergites, and the head is unusually small in comparison to the pronotum. Various Asteraceae, sometimes abundant in crops of sunflowers (Helianthus annuus) (Asteraceae). No serious damage recorded, but large populations can cause some distortion of flowers such as Pyrethrum and Sunflowers. Widespread in the USA, also around the world in the tropics and subtropics.